Alive! 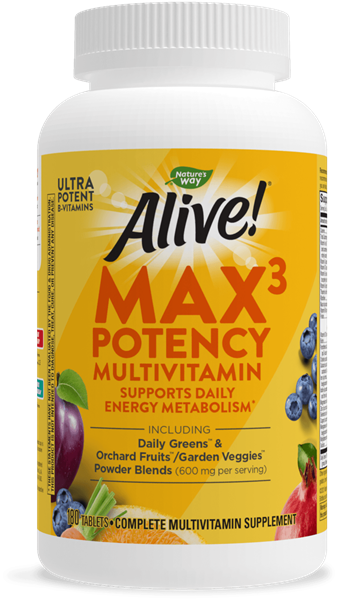 Max3 Daily Multi 180 Tabs - Nature's Way®. Caution: Individuals with allergies to plants of the Asteraceae (Compositae) family, including ragweed, should use this product with caution. If you are pregnant, nursing, or taking any medications, consult a healthcare professional before use. Not formulated for children. Do not exceed recommended use. Looking for Nature's Way Canada?